The Marnie Dress is back for Spring in several amazing fabrics, including the cotton & silk blend above ($168). 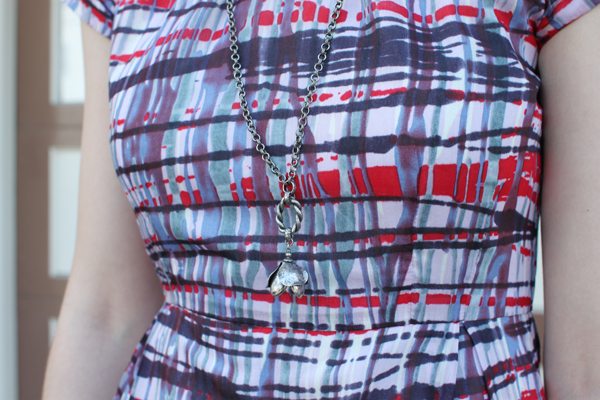 It's paired with a beautiful necklace from local designer Nancy Caten ($115). A classic shape in a colorful, modern print... you know how DEMA likes it. What a cool print! I love it paired with the simple accessories.